Should Colombian President Santos Decline the Nobel Peace Prize? That’s what Vietnam’s Le Duc Tho did in 1973. Whatever Santos does, let’s hope he uses the award to advance the cause of peace. Colombian President Juan Manuel Santos was awarded the Nobel Peace Prize today for his efforts to negotiate an end to 52 years of civil war between the government and the Revolutionary Armed Forces of Colombia (FARC). In light of last Sunday’s national referendum, in which the peace accord was turned down by a slim margin, the Nobel committee’s decision comes as a serious rebuke to Santos’s opposition, a group that includes ignoble former president Álvaro Uribe as well as Human Rights Watch. 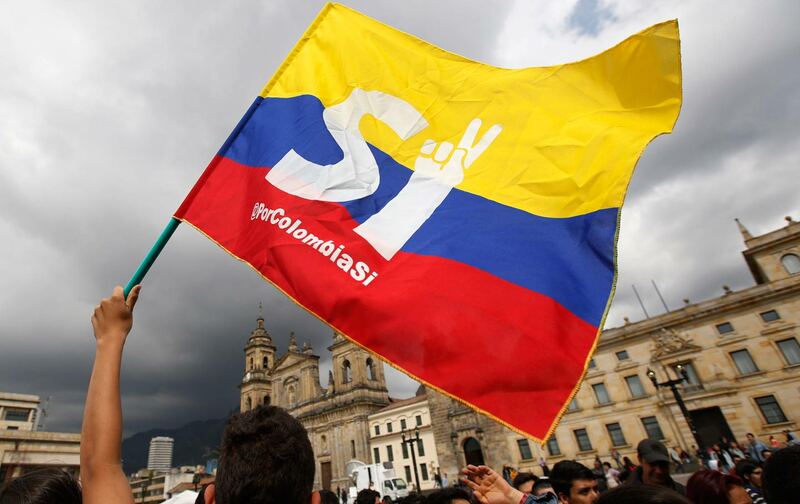 Did Human Rights Watch Sabotage Colombia’s Peace Agreement? In spite of the hurdles that were against him, one wonders why the Nobel committee saw fit to award the prize solely to Santos and not to FARC leaders Timoleón Jiménez or Rodrigo Londoño, or even the victims of the war? This is particularly surprising, as there is a long precedent of handing out the peace prize as a joint affair: In 1973, Henry Kissinger shared the award with Vietnam’s Le Duc Tho for supporting the Paris Peace Accords, the deal that ostensibly brought a cease-fire to the Vietnam War; in 1978, Egyptian President Anwar Sadat and Israeli Prime Minister Menachem Begin received the award for agreeing to the Camp David Accords; and in 1994, Yasir Arafat, Yitzhak Rabin, and Shimon Peres received it for the previous year’s Oslo Accords. Implicit in awarding the medal to Santos alone is the acknowledgment that he faced more formidable hurdles than anyone else; in an odd way, this is also a backhanded compliment to the FARC, since—unlike the Colombian military and the country’s right-wing paramilitaries—the rebels didn’t have to be corralled into agreeing to peace; they were eager for it. Now the most pertinent question is, what will Santos do next? He could follow the example of Le Duc Tho, who declined the laurel on the grounds that “peace has not yet really been established.” Whatever Santos chooses to do, let’s hope he will use this sudden boon to truly drive peace home. Emilio LeanzaEmilio Leanza is an editorial intern at The Nation.